Take your jetski out for some new adventures in Aqua Moto Racing 2 apk. 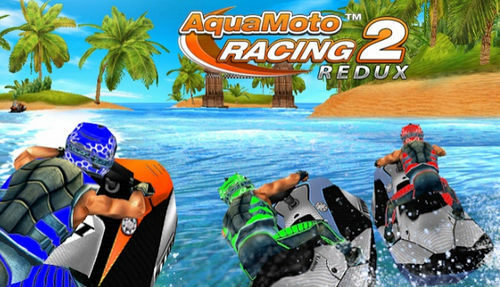 This is the sequel to the number one water racing game from Zordix with more locations, motos, and revamped graphics! 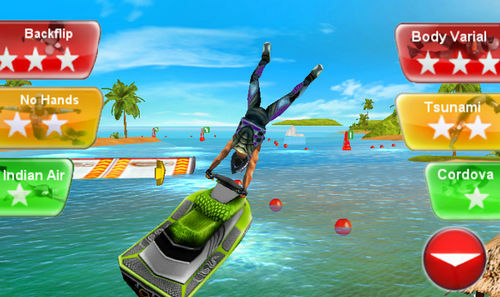 Experience the thrill of high-powered watercraft and break-neck stunts. Race through heaving oceans along sandy beaches in the Tropics, Greece and Egypt. Perform insane stunts and go around the buoys closely to charge your turbo and get the edge against your opponents. Earn cash by participating in races and spend it on better watercraft. Unlock new Championships and Achievements on your quest for Legendary Status. game requires Android 2.3 and up. More updates are coming soon with new content and bug fixes! stay tuned! Install apk file and have fun!